The release and return on October 13, 2016, of 21 out of nearly 300 girls who were kidnapped by Boko Haram in April 2014 made international news headlines recently—and rightly so. In the over two-and-a-half years since they were taken, a global movement for their return had risen and fallen in sync with the world’s “fleeting attention,” amid much political dueling over the veracity of the kidnap, the motives of the strongest advocates for the girls’ return, and the importance of the matter in the face of the broader crisis of terror and insecurity in northern Nigeria in which they have not been the only victims. As a woman born and raised in the part of Nigeria where the girls were taken, and as a mother of girls, I was especially aggrieved at the news and have since keenly followed the developments of the crisis. I read with interest many of the reports of the girls’ release. While I acknowledge their efforts to publicize such happy news, I could not help but notice one oddity that they almost all had in common: Many reports failed to mention the roles played by Nigeria’s civil society in the movement for the girls’ return. Of those that did, this CNN piece makes it look like #BringBackOurGirls was little more than disorganized online activism that happened to draw the attention of global champions like Michelle Obama and Malala Yousafzai. It does not recognize and honor the living embodiment of #BringBackOurGirls by protestors in Nigeria and globally. This is an entity whose very existence defies public indifference to violence against women, what appears to be growing state hostility toward women, and the mixed reactions toward women’s political activism regarding women’s issues. On a daily basis since April 2014, #BringBackOurGirls protesters have staged sit-ins in rain and shine and petitioned politicians and presidents to do everything they can to ensure the girls safe return and to protect women’s rights in Nigeria. Though different people celebrated the news for different reasons, the girls’ return is a compound victory for #BringBackOurGirls. First, it defeats every single conspiracy theory surrounding the kidnapping—from refutations that it ever happened to allegations that #BringBackOurGirls is a political ruse concocted to discredit Nigeria’s leaders. Second, it validates efforts to bring them back and is a testament to the resilience of a movement that was started in Nigeria by concerned Nigerian women and men, and continues to be led by them, long after the rest of the world has forgotten or stopped feeling bad about it. But third, and arguably most importantly, the girls’ return is a bittersweet reward—bittersweet because the fight is far from over. 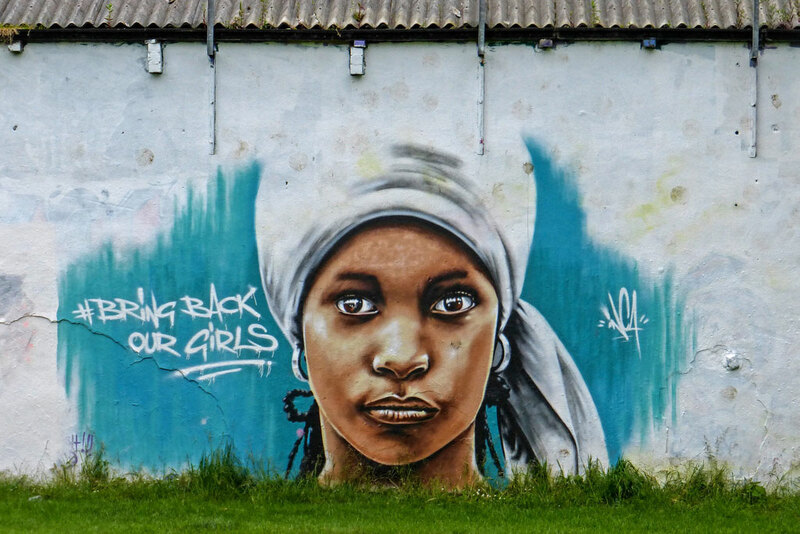 #BringBackOurGirls continues in the face of the inconstant attitudes from and actions by two successive Nigerian governments toward this issue. Amnesty Int’l Faces the ICC: Is Pointing Out Government Crime a Crime? A Nigerian human rights group called Save Humanity Advocacy Centre accused Amnesty International of crimes against humanity relating to the terrorist group Boko Haram in Nigeria and took AI before the International Criminal Court in The Hague.